Do you enjoy practical and manual work? Do you want to join a career where you could be paid for what you love? If you answered yes, becoming a heavy vehicle mechanic might help you join the ranks of those who are paid to do what they love. Heavy vehicles using diesel engines are now being used in the U.S. more than ever before owing to the increase in production over the years. This means that employers in this industry are consistently seeking the services of heavy vehicle mechanics to repair and maintain heavy vehicles. These vehicles are powered by diesel engines, which offer the lowest fuel usage and provide high efficiency, higher lifespan, and low stress. Diesel engines are quite different from engines powered by gasoline and also have different mechanical needs when being serviced. What Does It Mean to Work on These Machines? A heavy vehicle/diesel mechanics inspect, test, diagnose, tune, overhaul, repair, and maintain heavy vehicles. They also detect mechanical and electrical faults, repair and maintain the hydraulic components of engines. Diesel service technicians use electric, oxy, MIG and TIG welding, machining or hand fitting processes to repair or replace defective parts. Diesel engine mechanics tend to work indoors in repair shops but their work may be done outdoors as well. Their work may be physically demanding since it often involves lifting heavy tools and equipment and may have to stand or sit in awkward positions while working on the vehicle. What Would a Typical Day Entail for Me? 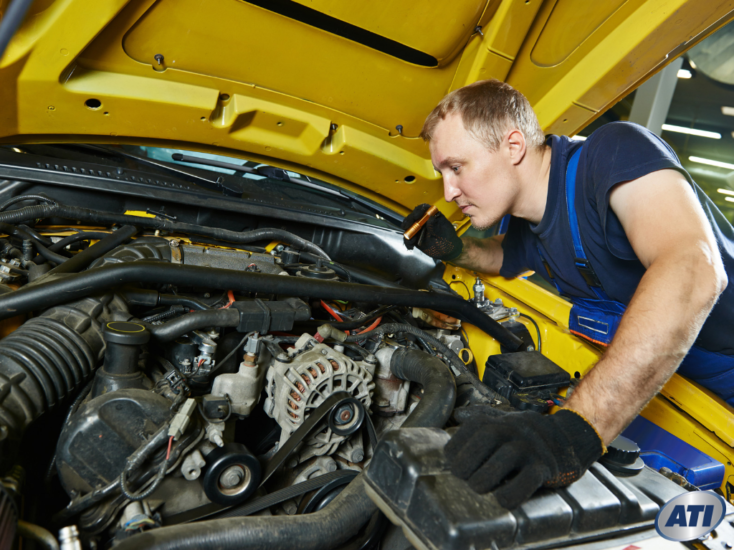 As a heavy vehicle mechanic, your job will involve everything from changing engine oil to rebuilding engines. This means that you should have a deep understanding of the vehicles electrical system, engine, brake, and other working parts. 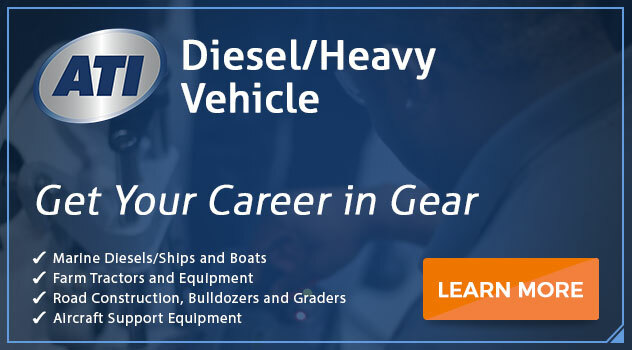 Regardless of the positions available and the type of heavy vehicles you’ll be working on, diesel mechanics need to have the necessary qualities and skills to successfully perform their duties. These include electronic, technical, mechanical, interpersonal, and troubleshooting skills. This career also requires one to be in a position to pay attention to even the minute details. What Kind of Training is Needed and Why Should One Get Formal Training? It’s possible to become a diesel mechanic with on-the-job training or a high school diploma. However, most employers are starting to look for technicians who’ve completed a formal training program, especially with increased sophistication and advancements in technology. Also, candidates with postsecondary training are considered to be better qualified and prepared to perform their job duties in any company’s service center. Pursuing an Associate in Occupational Science (A.O.S.) degree in Heavy Vehicle Technology with Service Management is one way to improve your marketability to potential employers and increase your chance to thrive in the highly coveted position. Such a program equips you with highly marketable management skills while preparing you for the technical rigor of being a diesel mechanic. Formal training takes place in a classroom and laboratory setting, where you gain hands-on training on diagnostic techniques and repair procedures. The management section offers students with a foundation in business management, employee retention, customer service, finance, communication skills, and inventory management. In addition, students go through safety training to prepare them to work with heavy vehicles, diesel engines, tools, components, and cramped workspaces that may be hazardous. Unlike on-the-job training where your knowledge is limited to certain aspects of the job, formal education equips teaches you techniques you may have never learned on your own. Learning to do something from knowledgeable, experienced professionals can help you land an entry-level and quickly move from one job to another. Learning logical diagnostic methods and repair procedures will also make your work more trustworthy. What is the Outlook for Heavy Vehicle Mechanics? Heavy vehicle mechanics with desirable qualities and level of education can go a long way in the mechanical industry. Employment for diesel service techs is expected to grow 9 percent from 2016 to 2026, according to the U.S Bureau of Labor Statistics (BLS). With so many job opportunities available, getting the right training can mean great success to any individual interested in this career. Is This the Right Time for me to Start School? Previous PostHow do I become a Mechanic With No Experience, but a Formal Degree? Next PostWhat Schooling to you Need to be a Heavy Duty Mechanic?